The ivory 2" x 2" candles come in a box of four. Each burns for 10 hours. 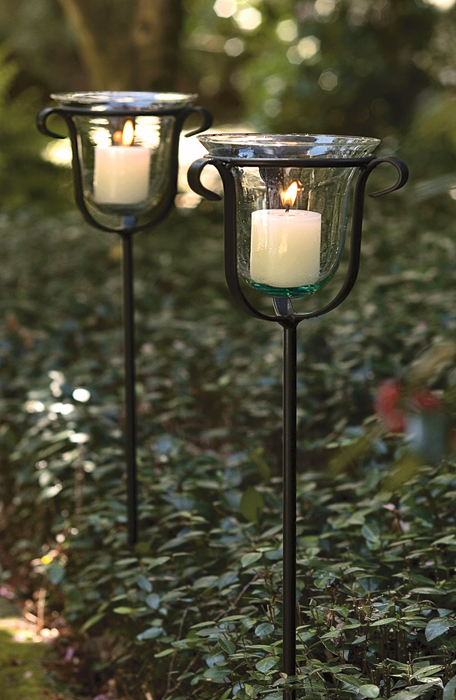 It is shown with our Garden Candle Stakes (#1646).